Hey Guys, As you know that Snapdeal is from one of the best Shopping site, not they are offering flat 20% Cashback when you shop first time from Snapdeal app. 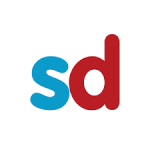 for avail this offer, you have to Download & install Snapdeal app in your phone. you will get 20% Cashback only if you are the new user of Snapdeal, & you can save upto 200 rs on first purchase. 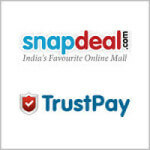 extra cashback will be added into Snapdeal account. Check it out from below. Also read terms & conditions carefully, before using This Offer. 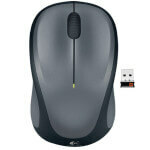 Keep visit here for grab more cool deals like this. Thanks for visiting. Previously when snapdeal appshare was on, then my friend installed it on my refer and he got rs. 100. He did not made any purchase and browsed snapdeal occasionally. 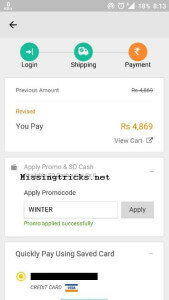 He purchased a product today and applied this promocode ‘winter’. The code was applied successfully. Now my first question is will he get 20% cashback as he has installed it previously or will he considered as a new user? And second is Will i get referral benefit if he gets 20% discount?? I just want to check if it is not applicable on new sign up. As he had made his id about 15 days ago. And just check that amazon refer program trick which i have mailed you at your contact us link.